Travel agents will earn a chance to win a stay for themselves when making and entering bookings made through Feb. 28 for travel to Reflect properties through March 29. Full details coming soon on AMRewards.com. AMResorts has ended 2018 with another year of explosive growth for the company’s robust travel agent loyalty program, AMRewards™. More than 38,000 travel agents have registered for the program, shattering previous participation records with a 27 percent increase year over year in bookings entered. Agents also maximized their rewards like never before, redeeming points for room nights at AMResorts’ 52 properties using AMRewards’ online booking engine. This tool allowed agents to check availability and make their reservations in real-time, resulting in a 15 percent increase in redeemed room nights compared to 2017. Continued enhancements, rewarding promotions and exciting contests helped fuel the program’s expansion in 2018 and are expected to drive an even stronger 2019. 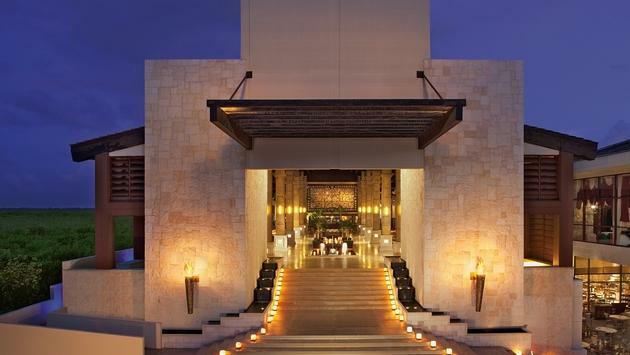 To celebrate the debut of the newest family-friendly brand offering Unlimited-Luxury®, Reflect Resorts & Spas, AMRewards is launching a promotion that is applicable for the brand’s locations in Cancun, Los Cabos and Nuevo Vallarta. Travel agents will earn a chance to win a stay for themselves when making and entering bookings made through Feb. 28 for travel to Reflect properties through March 29. Full details coming soon on AMRewards.com. In addition to the recent debut of Reflect Resorts & Spas, agents will soon have two new resorts to offer travellers or to use their AMRewards points to visit. Now Natura Riviera Cancun, a luxurious, family-friendly beachfront property in Mexico’s Riviera Maya, is already accepting reservations, and will welcome guests beginning in late 2019. 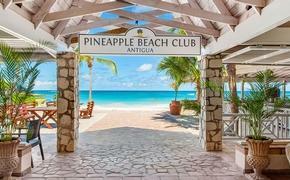 Also slated to open in 2019 is Secrets St. Martin, which marks not only AMResorts’ first property on the island, but also the collection’s first resort in the French Caribbean. Agents will also soon be able to use their points to further reward their loyal clientele. Through the program, agents are already able to surprise their guests with extra perks, such as a relaxing spa treatment, breakfast in bed, or a romantic dinner for two. A new feature will soon give travel agents the ability to also book in-room amenities for their guests. Created to help travel agents improve their selling capabilities, the AMRewards program is constantly reviewed and improved upon, a process that has allowed the program to grow and enhance each year.